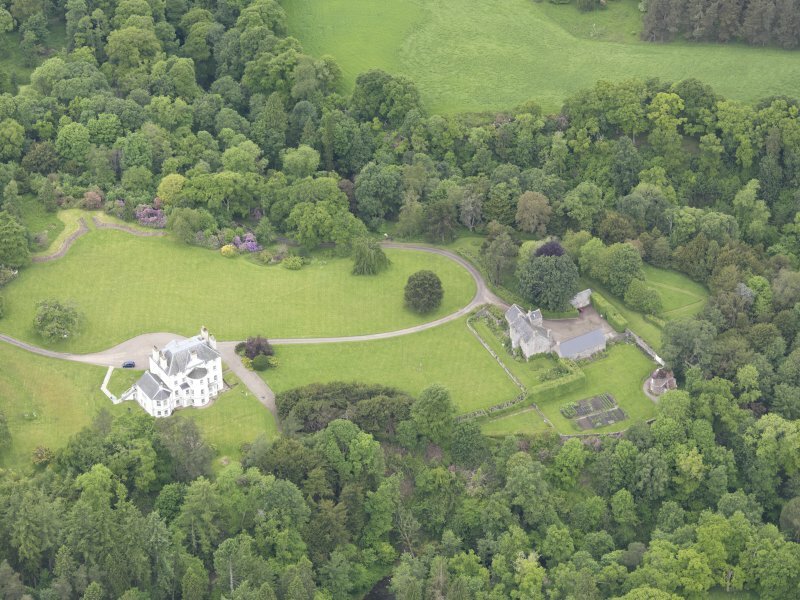 Oblique aerial view of Invermay House, taken from the NE. 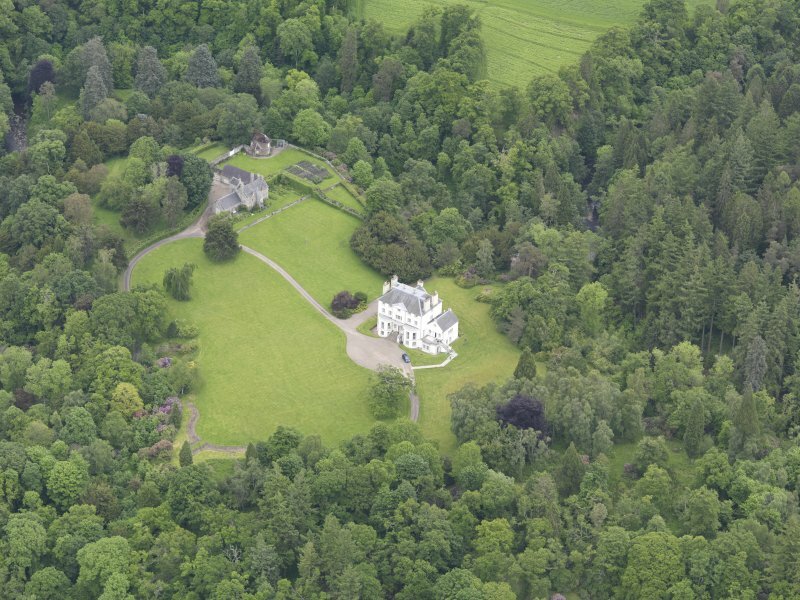 Oblique aerial view of Invermay House, taken from the SW.
Oblique aerial view of Invermay House, taken from the WSW. 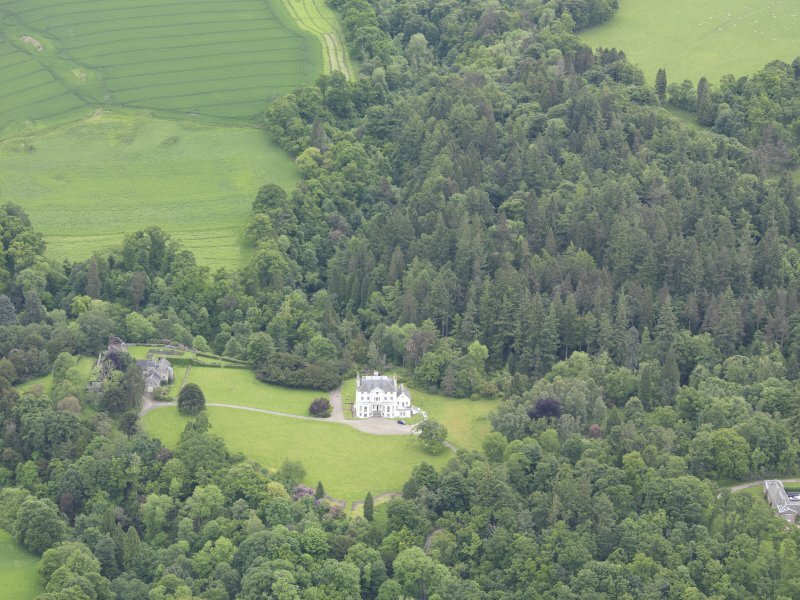 Oblique aerial view of Invermay House, taken from the W.
Oblique aerial view of Invermay House, taken from the WNW. 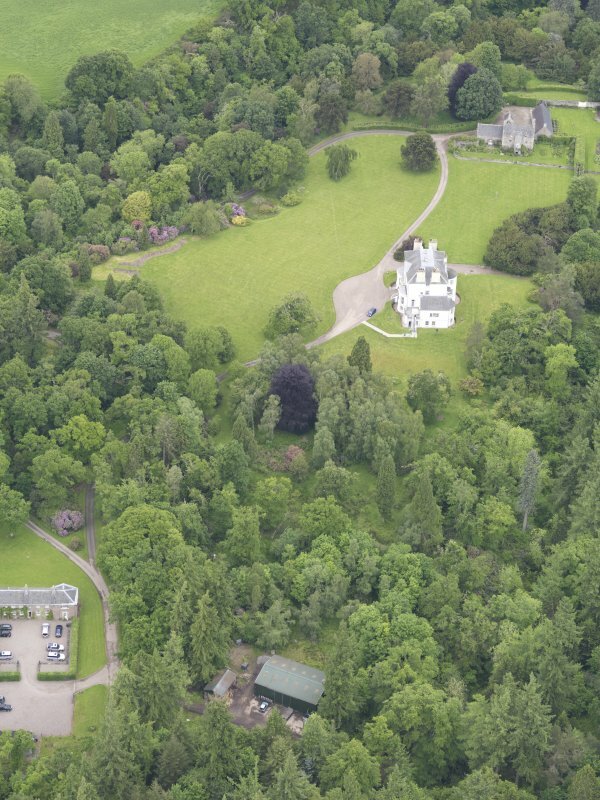 Oblique aerial view of Invermay House, taken from the NNW. 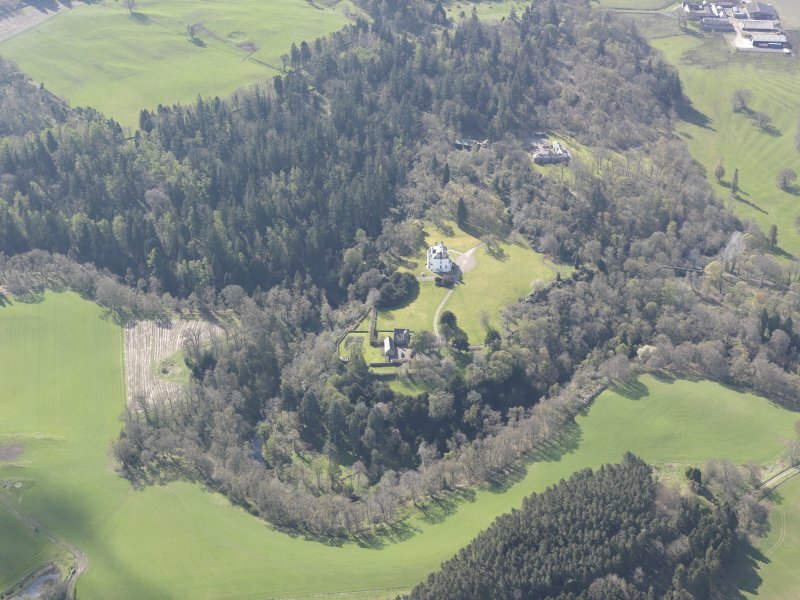 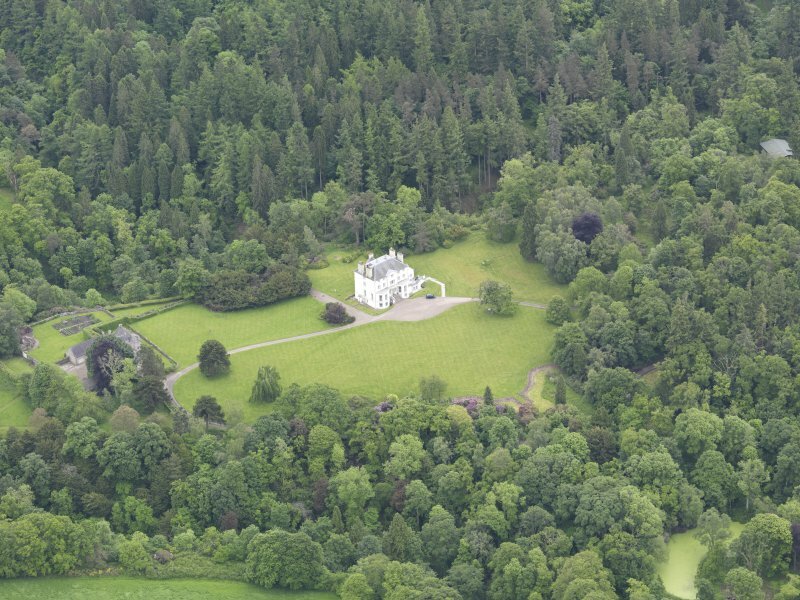 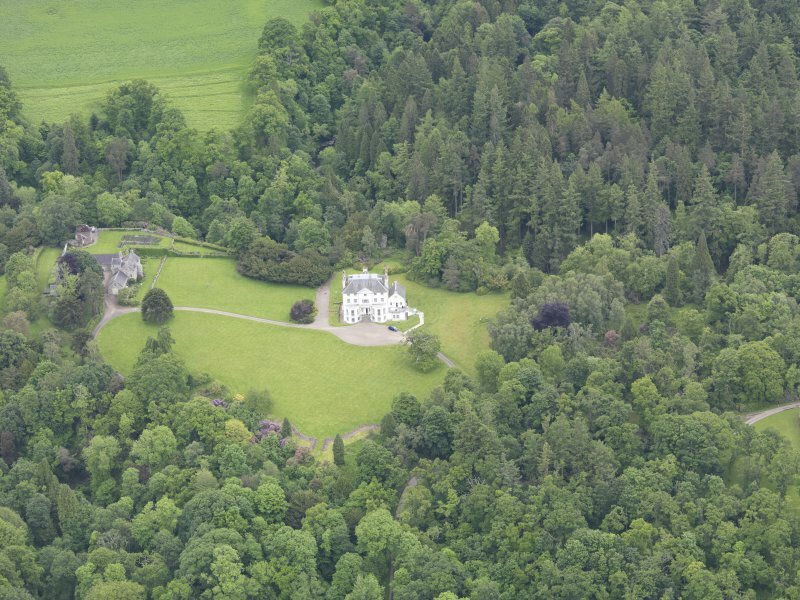 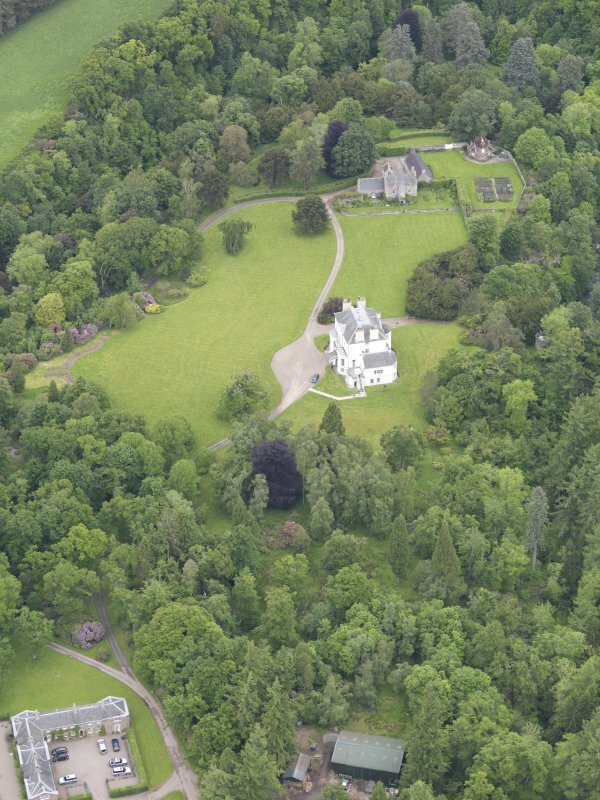 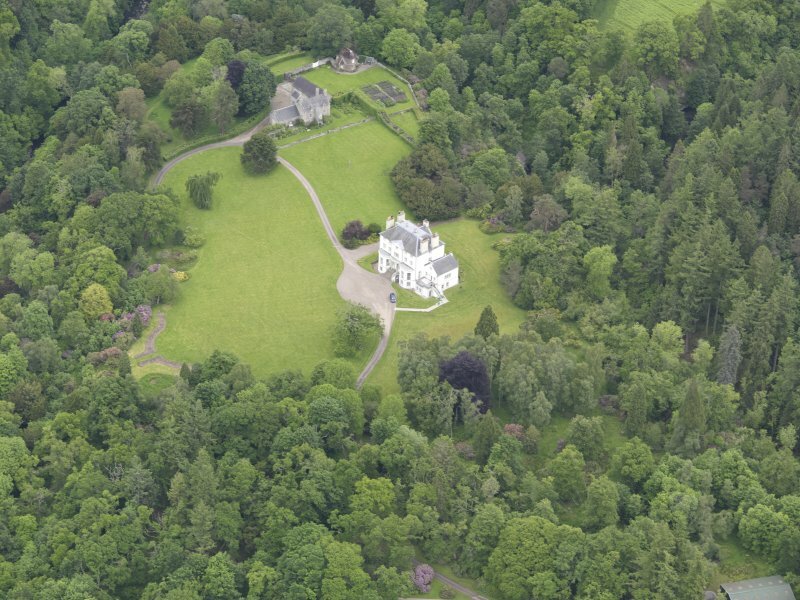 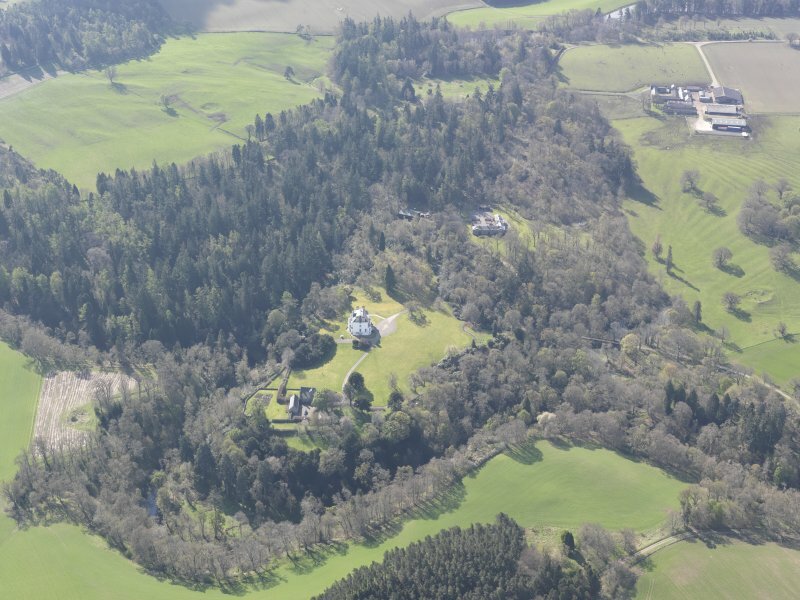 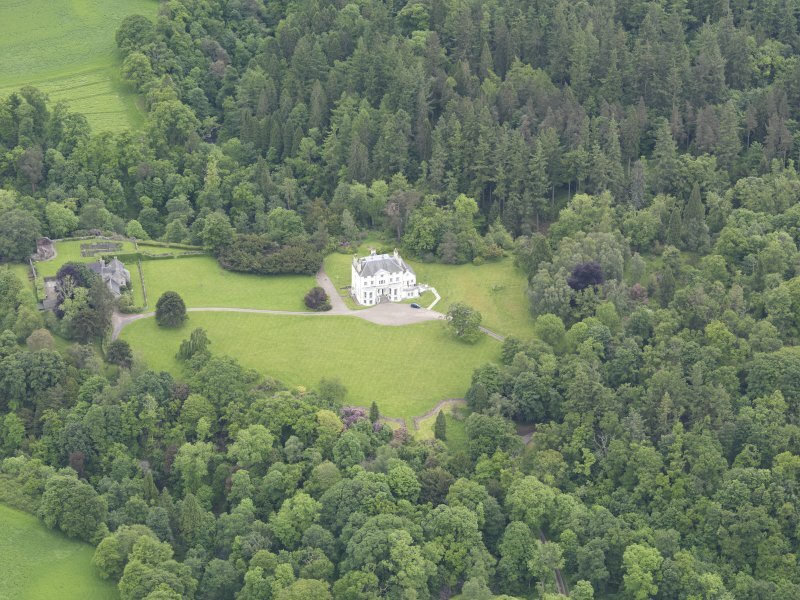 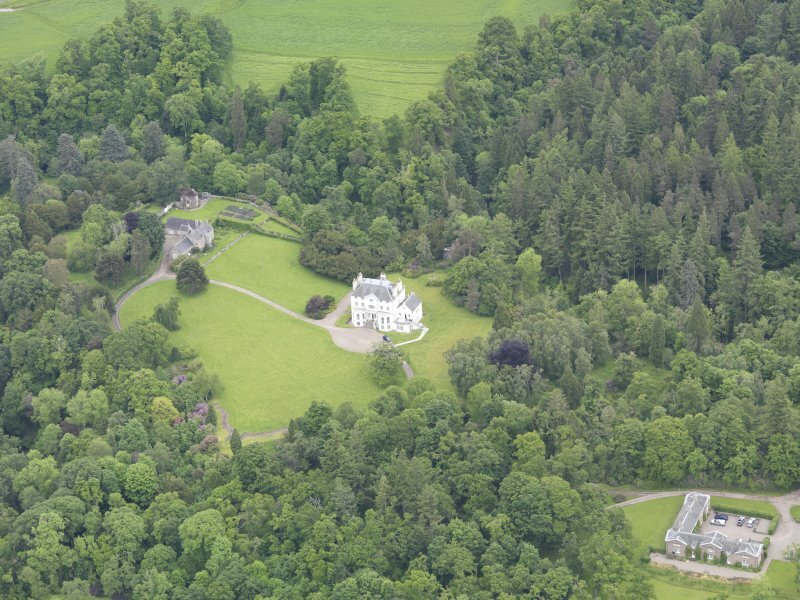 Oblique aerial view of Invermay House, taken from the SSE. 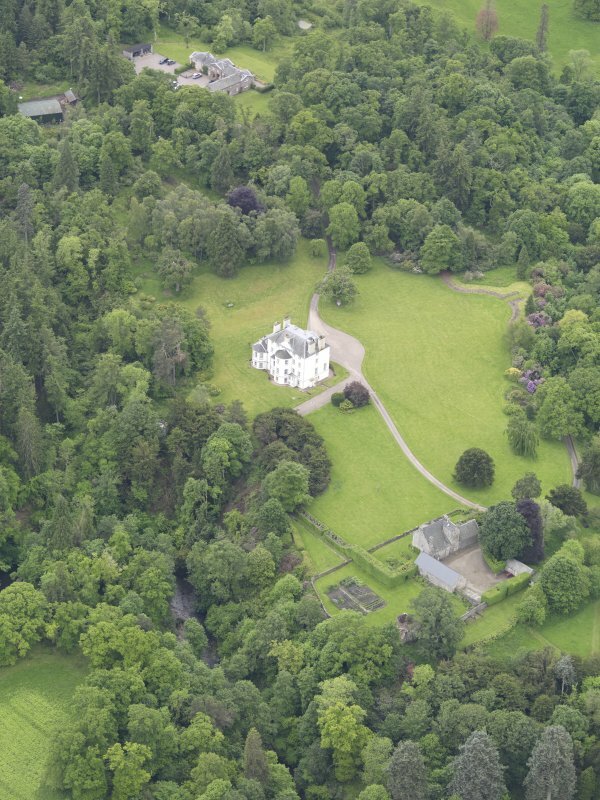 Oblique aerial view of Invermay House, taken from the S.
Oblique aerial view of Invermay House, looking SSE. 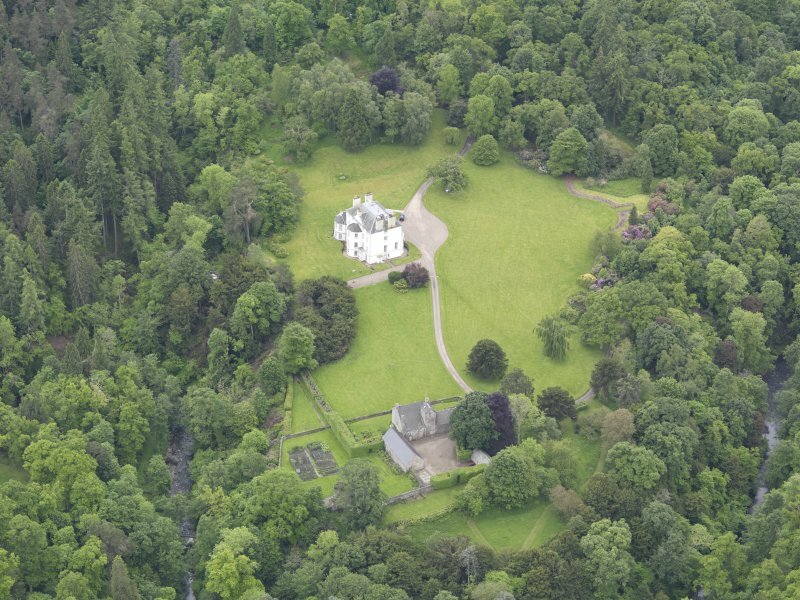 Oblique aerial view of Invermay House, looking S.
Oblique aerial view of Invermay House, taken from the SE. 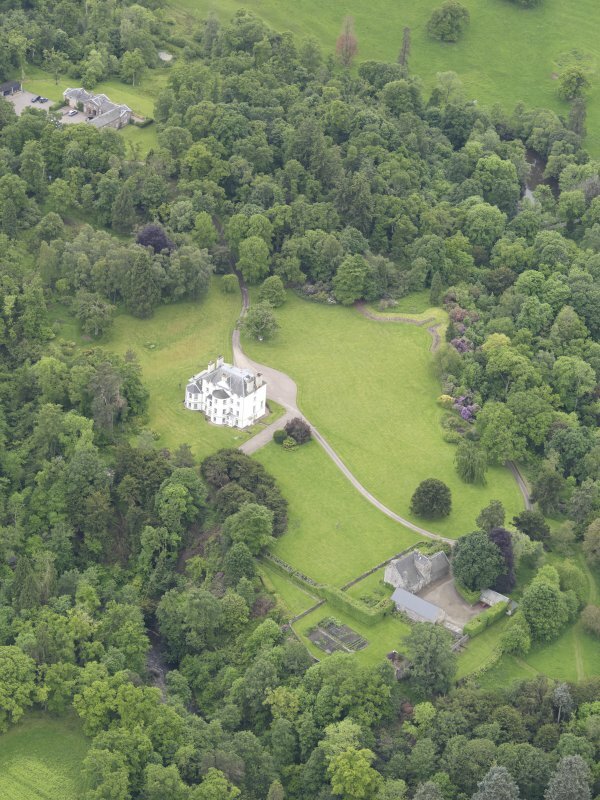 Oblique aerial view of Invermay House, taken from the N.
Oblique aerial view of Invermay House, taken from the NNE. 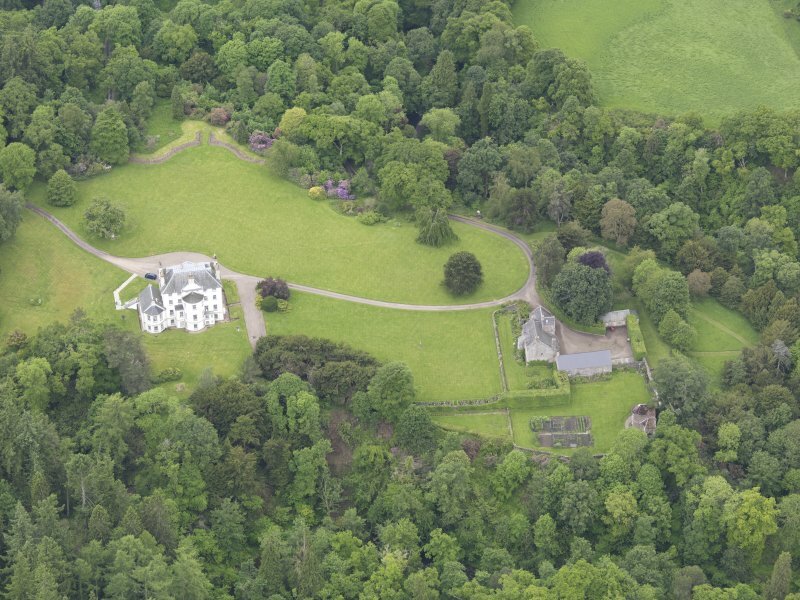 Oblique aerial view of Invermay House, taken from the SSW. 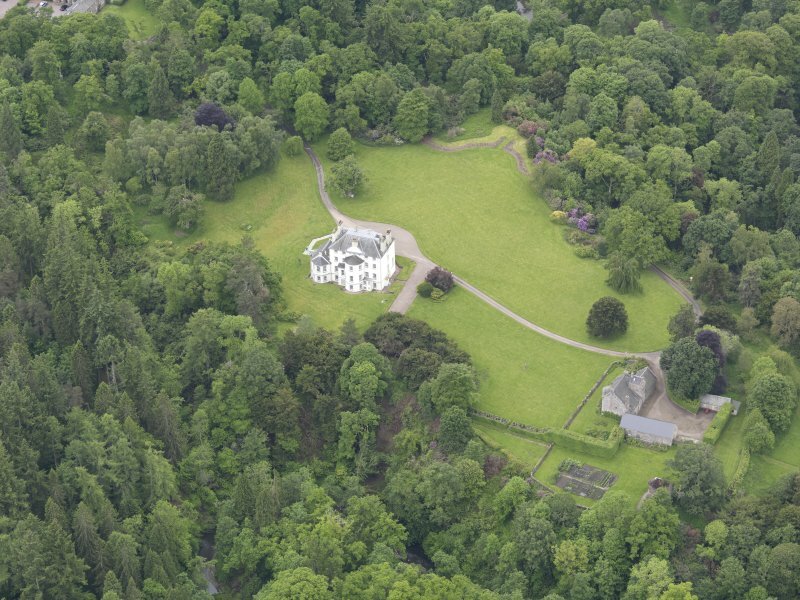 Oblique aerial view of Invermay House, taken from the ENE. 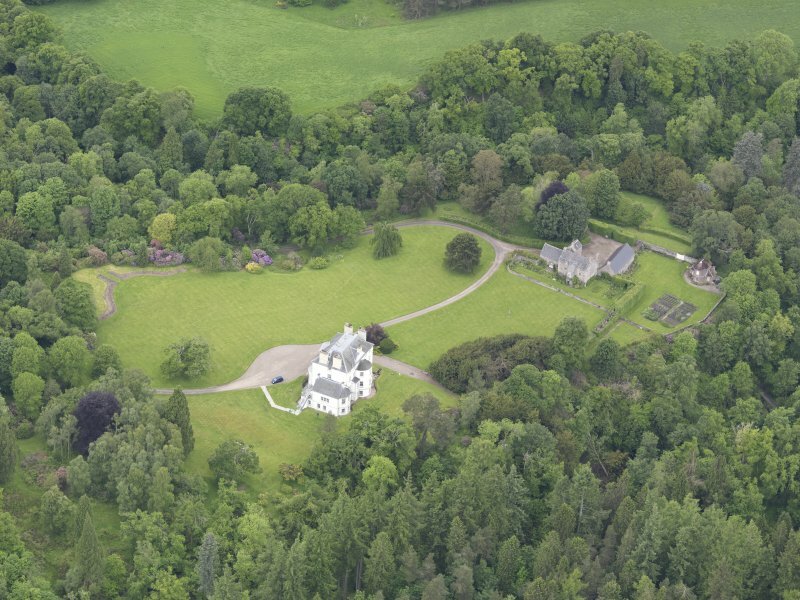 Oblique aerial view of Invermay House, taken from the NW. 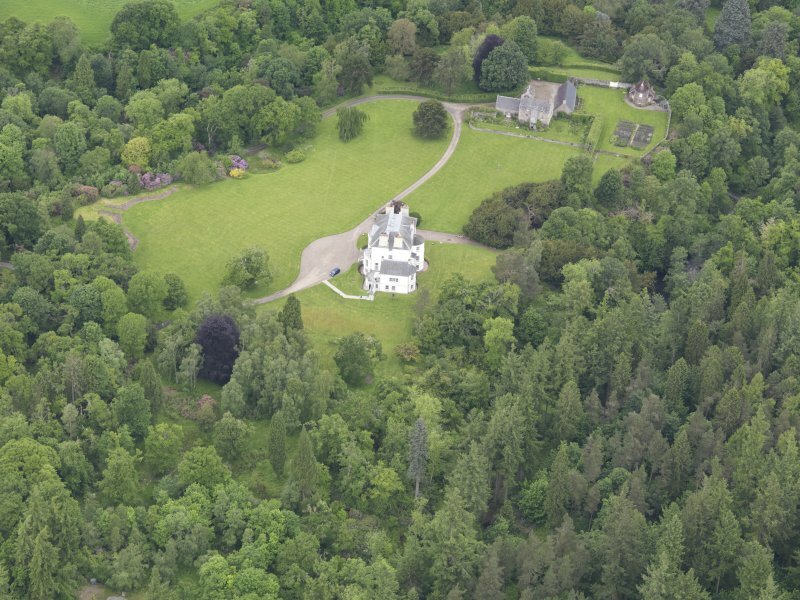 For Invermay, Cross (NO 0598 1664), see NO01NE 8. 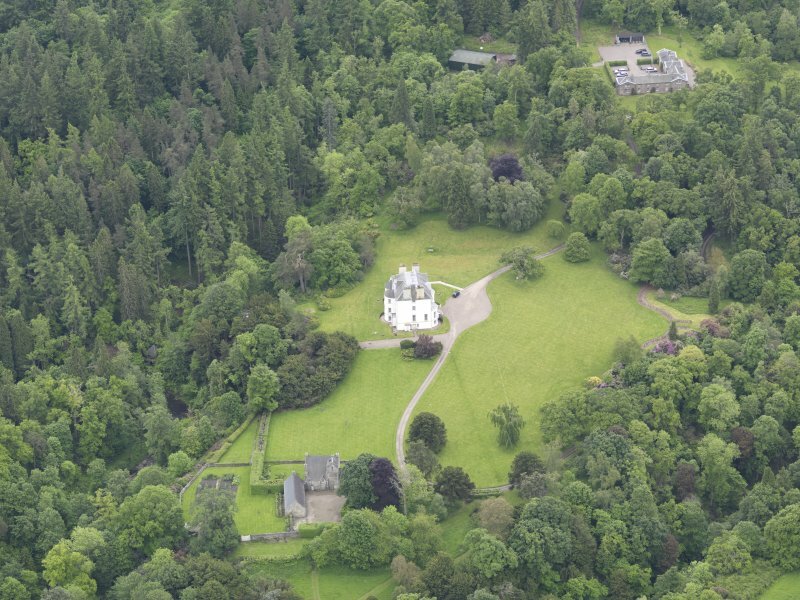 Owner: Captain and Mrs D. Wemyss. 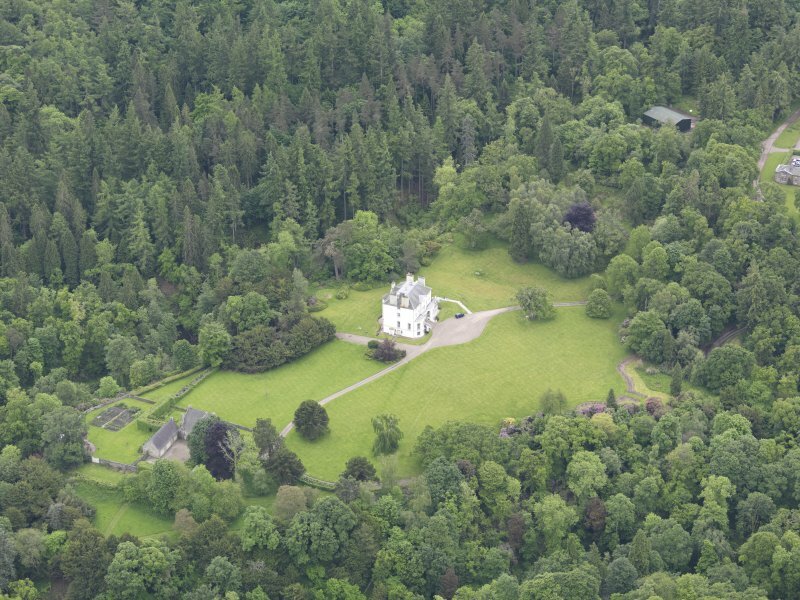 Architect: Alexander Laing 1802 - alterations to house, stables, West lodges, game larder, dairy and gazebo.